A practical guide to adaptive behaviors across a range of neurodevelopmental disorders Adaptive behavior assessment measures independent living skills, including communication, social skills, personal care, and practical work skills. For individuals with intellectual disabilities, evaluation of these skills is a critical tool for measuring eligibility and can identify specific skills that must be learned before effective educational interventions can be implemented. Essentials of Adaptive Behavior Assessment of Neurodevelopmental Disorders describes the role of adaptive behavior in assessment and treatment, and provides clear guidance for measurement. Case samples provide real-world illustration of behaviors and assessment, and systematic comparison of various measures are presented and explained to better inform planning. 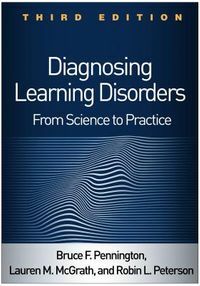 Individual chapters outline specific adaptive behaviors across a range of neurodevelopmental disorders, giving clinicians, practitioners, students, and researchers a better understanding of diagnostic differentials and how to place independent skill programming in treatment and intervention. Plan intervention and treatment based on accessible measurement guidelines across a range of disorders Gain a deeper understanding of adaptive functioning specific to ADHD, autism spectrum disorders, disruptive behavior disorders, and genetic disorders Compare and contrast current measures to evaluate their strengths, weaknesses, and areas of overlap Quickly locate essential information with Rapid Reference and Caution boxes For individuals with neurodevelopmental disorders, adaptive behaviors are the keys to independence; without them, these individuals will perpetually struggle with achieving optimum independence without the basic skills needed to function at home, in school, and in the community. Assessment allows these skills to be factored in to treatment and intervention planning, and can help improve the outcomes of other intervention methods. 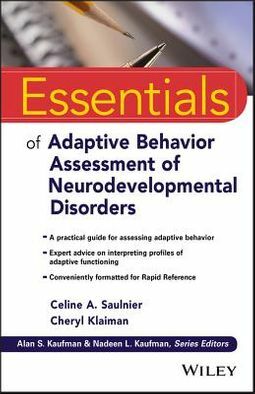 Essentials of Adaptive Behavior Assessment of Neurodevelopmental Disorders clarifies the assessment of these important behaviors, helping clinicians make more informed decisions around diagnosis, education, and treatment planning.